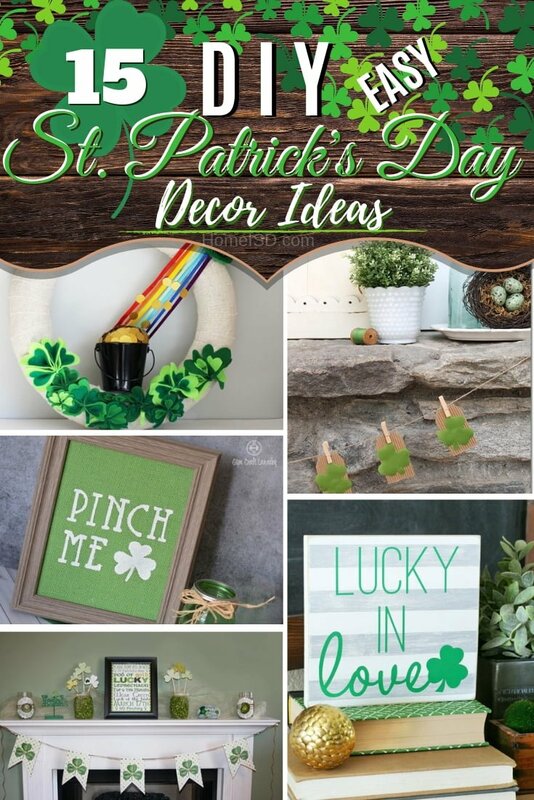 St. Patrick’s Day is a fun occasion to celebrate and decorate your home for it. Here are 15 easy and charming ideas to try. The day is coming, and it’s magical. If you’re the person who takes every chance to decorate their home, then you won’t miss this opportunity as well. Besides, welcoming St. Patrick into your home is considered to bring luck! And you don’t have to put much time into it either. Check out these quick and easy but cute decor ideas that you can DIY for this fun celebration at home. Give this DIY St. Patrick’s Day Garland a try. 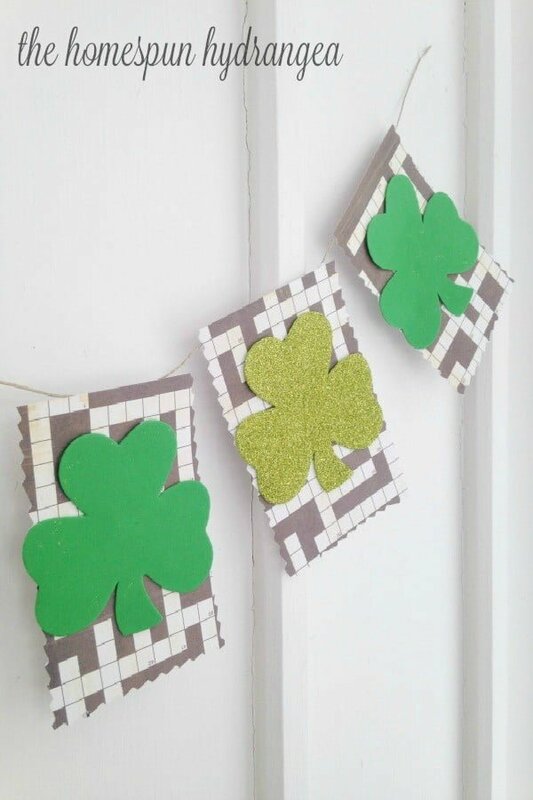 It is the perfect frugal and fun St. Patrick’s Day craft and makes for some cheap home decor. Read the article to learn how it’s done. 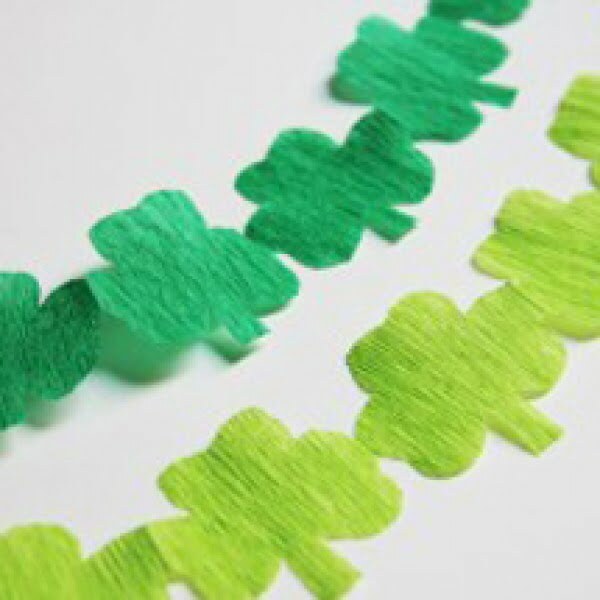 Simple last minute St. Patrick’s Day DIY shamrock streamer garland craft. Read the article to see how it’s done. 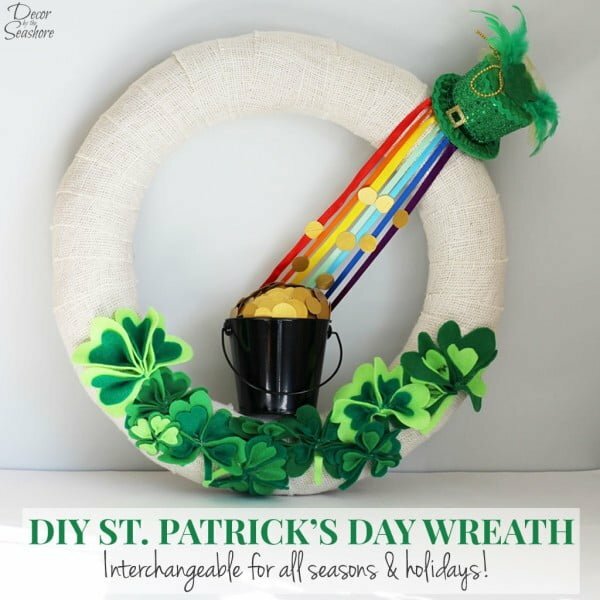 This lucky DIY St. Patrick’s Day burlap wreath is the PERFECT St. Patrick’s Day decoration. Check out the article to find out how it’s done. 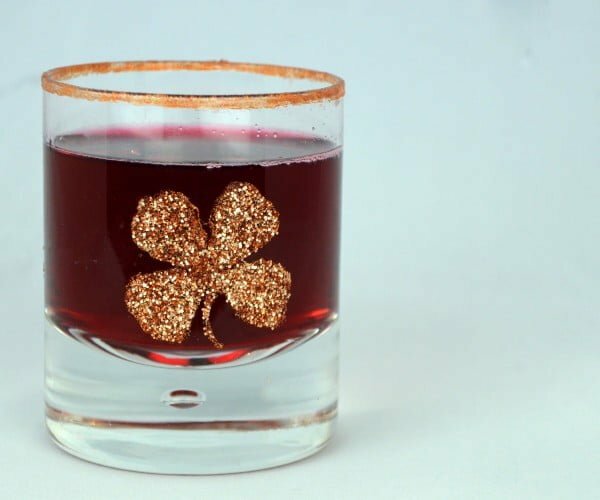 Create these great gold glasses for St. Patricks day on a budget. Read the tutorial to learn how to do it. 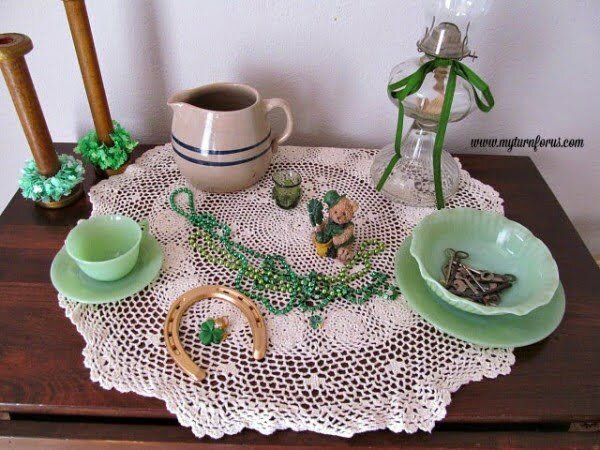 Using green dishes and items found around the house for some of the easiest St. Patrick’s Day Decorations. Check out the link to learn how it’s done. 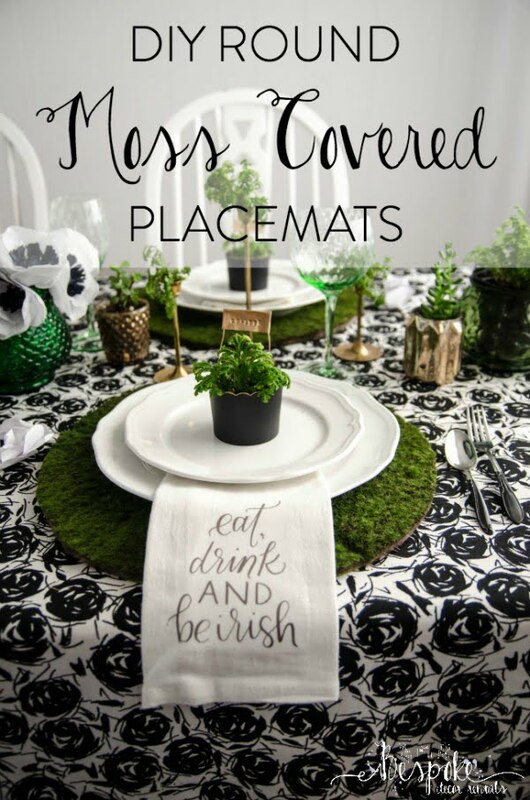 These fabulous DIY Moss Placemats come together in a snap and have such a great feel to them. Follow the link to get the entire plans and instructions. 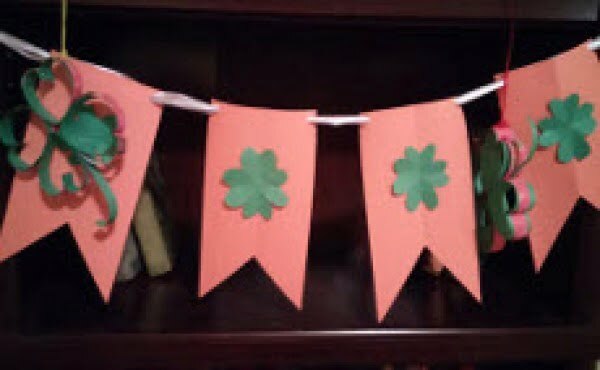 Create this fantastic easy DIY St. Patrick’s day banner for an easy project idea. See this website to see the complete guidance. 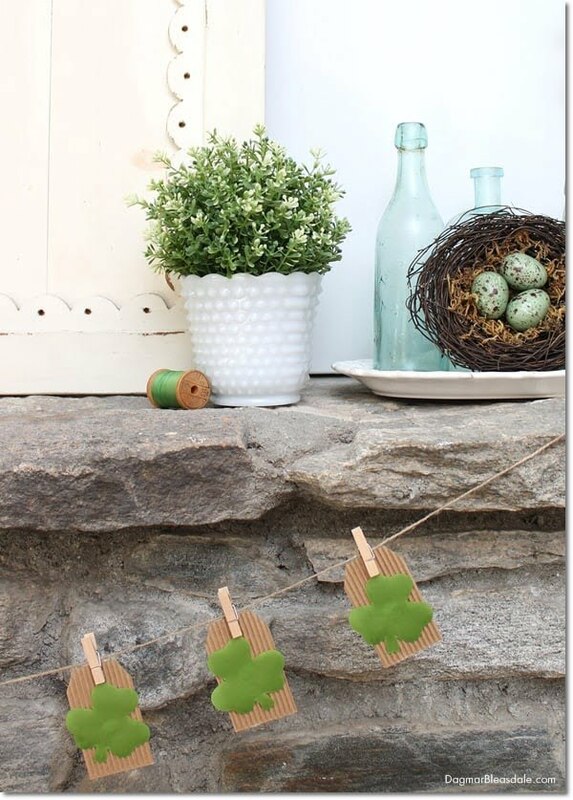 How to make a St. Patrick’s Day shamrock clover front door hanger. 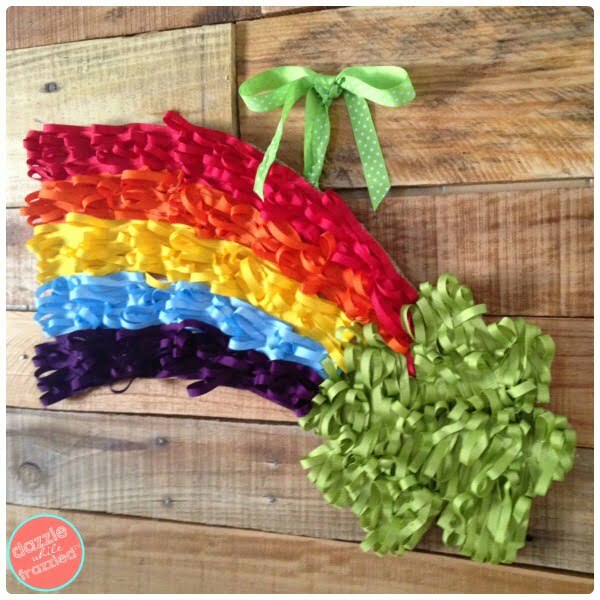 Easy rainbow ribbon craft for St. Patrick’s Day home decor using a piece of cardboard, floral wire, and the hot glue gun. Check out the tutorial to find out how it’s done. 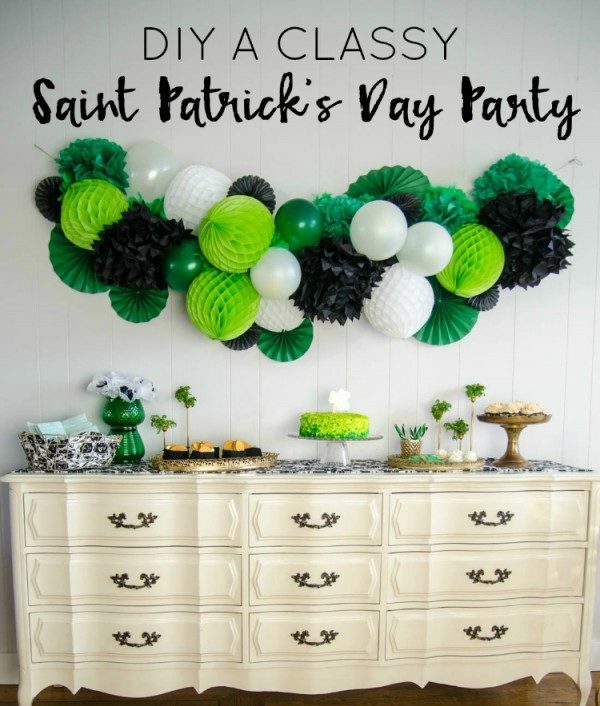 Awesome DIY ideas for St. Patrick’s day decor the easy way. Read the article to get the full details and instructions. This is a beautiful DIY classy Saint Patrick’s day giant honeycomb garland you can also make the easy way. Check out the tutorial to learn how to do it. 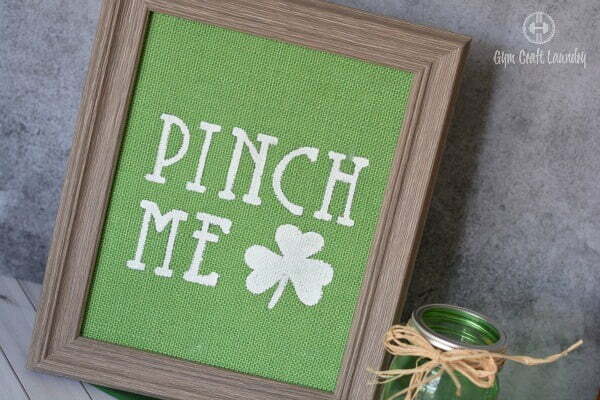 This is a beautiful DIY burlap wall art for easy St. Patrick’s day decor. Check out this website to see how it’s done. 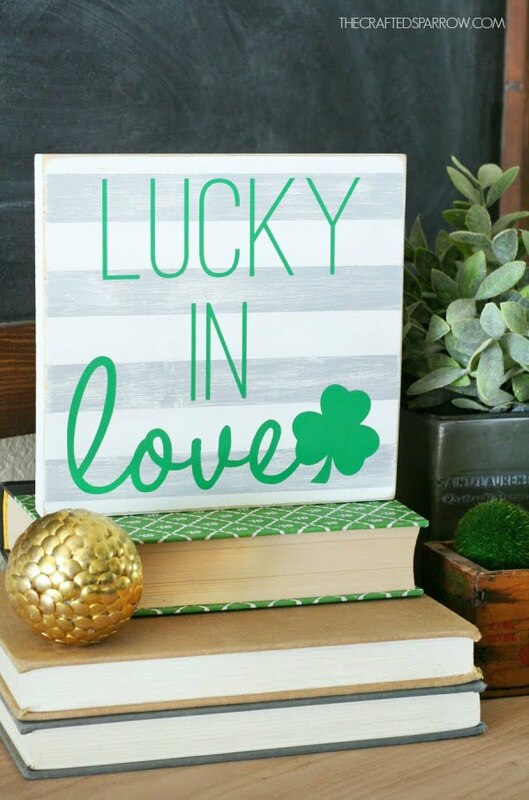 Make this cute and easy DIY St. Patricks Day Sign, and bring a bit of luck to your space. Follow this website to see the entire guidance. 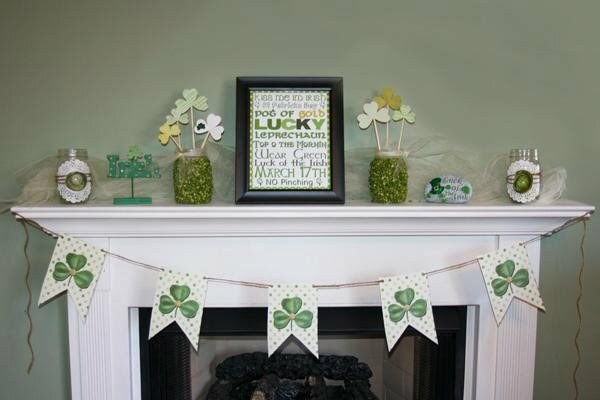 Create a DIY decor display for the St. Paddy’s Day that will bring loads of luck to your home. Read the article to find out how to do it. 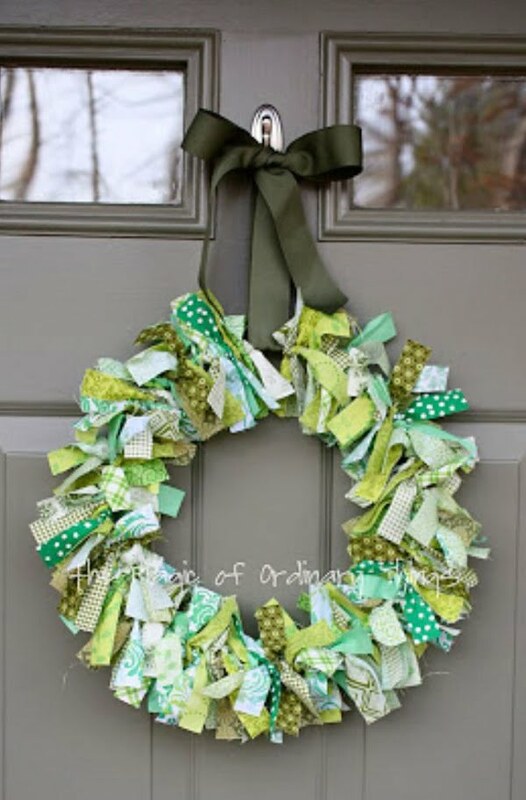 Make this easy but wonderful DIY rag wreath for the St. Patricks Day front door decor. Follow the link to get the tutorials. 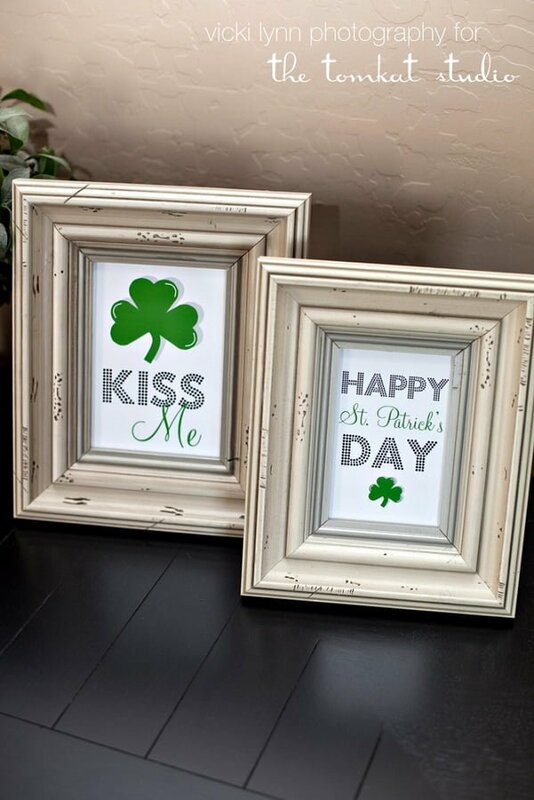 Make these St. Patrick’s prints for some quick and easy decor for the occasion. It’s a neat idea if you don’t want to get involved much in to decorating but still want to celebrate the day. Check out the tutorial.